George Harrison’s widow has raised the possibility she will will finish some of the Beatles unreleased songs with her son Dhani. Olivia Harrison said she talked to her 37-year-old son about working on the tracks: ‘There are a lot of songs that are unfinished,’ she explained. ‘I think there’s a project there. I just need time to get to it,’ Billboard reported. 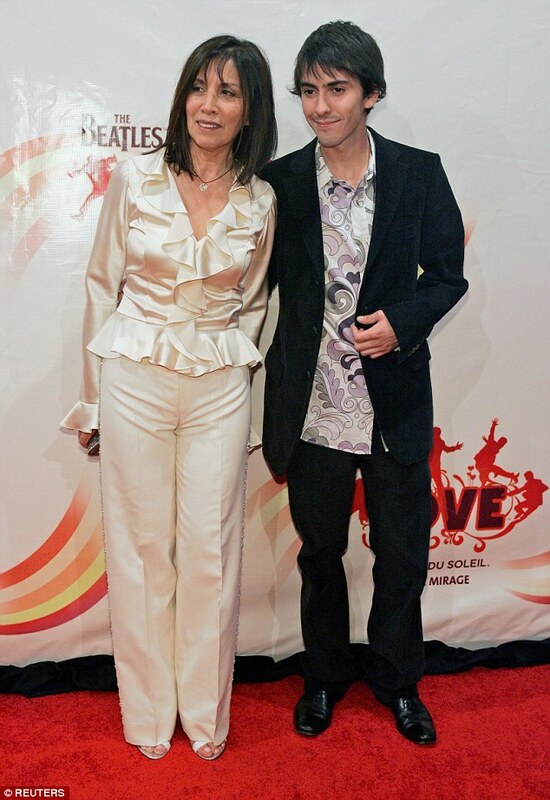 She was speaking at the the tenth anniversary of The Beatles Love by Cirque du Soleil at the Mirage Hotel in Las Vegas, attended by Paul McCartney, Ringo Starr and Yoko Ono.